If there is one event where all our silliness emerges it is during the holiday of Purim. Members of Ohr Shalom have just survived our Rocky Mountain winter and the weather is just starting to soften up and we are ready for fun. We always have a Purimspiel, often written by one of our more literary members. We have had cowboy, detective, super-hero, Facebook, traditional Shushan, and many other kinds of Purimspiels. Our children especially enjoy the holiday because we provide a couple of trunks full of costumes and plenty of creative noise-makers. 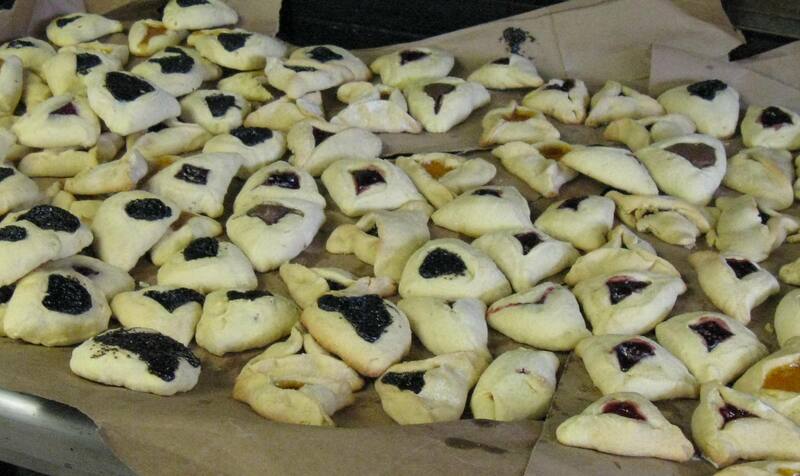 Our hamantashchen makers always out do each other making the delicous pastries.